Also called the "East End" of Long Island, the Hamptons are a group of villages and hamlets in Southampton and East Hampton. The popular seaside resort forms the South Fork of Long Island and you'll find stunning-and expensive-residential homes here. In some cases, "expensive" is an understatement with Sagaponack coming in as America's most expensive zip code for 2016. This is why rentals are so popular in the Hamptons; most people can never afford to own their own property in this area. One of the most frequently booked properties on VRBO, this one bedroom luxury cottage in San Harbor Village features a full kitchen with dishwasher, gas stove, brick patio facing a garden, laundry, and central air conditioning. Walk to the village (about 5 minutes away) for drinks at the American Hotel, or go shopping at the various farmers' markets in town. You are also close to Main Street, which is where you'll find notable antique shops and other interesting stores. 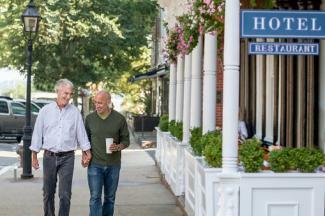 Sag Harbor Village is popular with people who want one of the prettiest villages with some old school charm. There are often celebrity sightings in town if that is on your priority list. The location is very convenient as the property is close to town and within walking distance to a variety of stores and restaurants. There are also lots of activities nearby, including gym, pilates, yoga and cycling. On the downside, the cottage can only accommodate up to two adults and one child. There are also no pets allowed. The average nightly cost is $245. The property boasts five star reviews on VRBO, with reviewers noting it was even better than described. They like how close it is to attractions and only minutes away from East Hampton and Southampton. If you're looking for a luxury property and fantasize about the sprawling beach mansions you see on television and in the movies, consider the Fowler Beach Seaside Manor in Southhampton. Southampton is where it's at for shopping, celebrity spotting, and the best real estate. This is where you'll find a bulk of the sprawling multi-million dollar mansions along the beach as well. Some of the nearby attractions include Parrish Art Museum, Shinnecock Hills Golf Club, and the Elizabeth A. Morton National Wildlife Refuge. While there is a private beach at the house, other popular beaches like Flying Point Beach, Cooper's Beach, W. Scott Cameron Beach, and Main Beach are all within ten miles. The oceanfront manor is great for groups. Nestled in one of the Hamptons' most desirable hamlets, it features historic architecture, includes weekly housekeeping, and includes a private beach. It is also closer to New York City. This is a pricey area, however, and you will not find as much nightlife compared to the other hamlets. Southhampton itself is about 2.5 miles away. The rate ranges from $3,333 to $7,143 per night, depending on the time of summer and/or holiday. 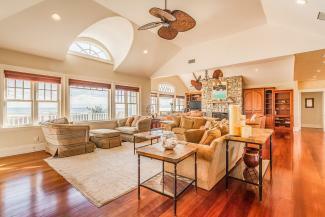 This 2,500 square foot home located near Fort Pond Bay is approximately 0.6 miles from the center of town. The four bedroom house has two full baths and sleeps up to eight adults. The property is over a half-acre and has unique features like an outdoor shower where you can bathe overlooking the water. Located less than a mile from the center of town, this house is family friendly with bedrooms on both levels. However, the main living area is upstairs and the house itself is not on the water. 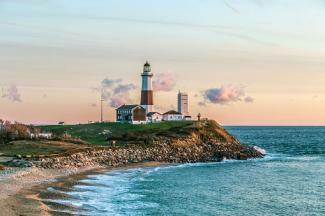 Montauk is popular for those looking for music and some nightlife. If you're looking to catch some waves, surfers love Montauk's Ditch Plains Beach. Rates for this home start at $901 per night. If you're looking for a rental house in East Hampton, this popular property on TripAdvisor sleeps up 6 people in three bedrooms. It's located in the East Hampton NW woods, which is about four miles from East Hampton and 1.5 miles from Sammy's Beach. There are creature comforts of home and technological amenities like 40" or bigger televisions in each of the bedrooms, Apple TV in each room, a Sonos sound system, and more. Like Montauk, East Hampton is where it's at for nightlife. Here you'll find popular clubs that stay open late. The beaches are stunning while the town offers ample shopping and dining options. The property itself comes with modern amenities, a saltwater heated pool, and a BBQ. However, you'll find that the rental house is not that close to either the beach or directly in town, so you will need a car to stay in this pricey neighborhood. There are no pets allowed and you will need to ask about the kids policy. This property goes for about $2,000 a week. If you want to enjoy the best summer holiday possible in the Hamptons, it pays to do some research and keep some key insights in mind when planning your trip. Curious how to choose where to stay in the Hamptons? Business Insider ranks their top villages and hamlets based on a series of criteria including beaches, restaurants, shopping, celebrity sightings, nightlife and real estate. It might be a surprise to hear that Uber was banned for nearly two years in the Hamptons. Due to some convoluted regulations, parts of the region were not allowed to have Uber pick ups and drop offs. The rules have since changed, and it's likely that by the middle of Summer 2017, Uber will be back and operational. If you're not driving and unable to use Uber, consider the Hampton Hopper. This cool green school bus operates 12 stops from Sag Harbor to Montauk. It only runs on Thursdays through Sundays and you can purchase single rides for $12, day passes for $20, weekend passes for $35, or summer passes for $149. NY Times: A Guide to Your Summer in the Hamptons: A collection of the "best new places to eat, drink, play and relax" while visiting the area. Hamptons Magazine: A magazine, offered in both digital and print, dedicated to covering the people, parties, food and style of the region. T+L: Insider's Guide to the Hamptons: Travel + Leisure covers where to stay, where to eat, where to shop and what to do, including region-specific recommendations. 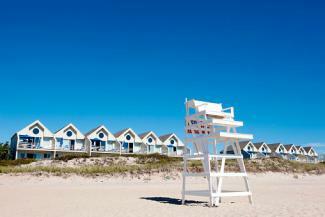 Renting the perfect home in the Hamptons can be a difficult task, especially during peak summer months. TripSavvy has some great tips to keep in mind when planning a holiday to the Hamptons. 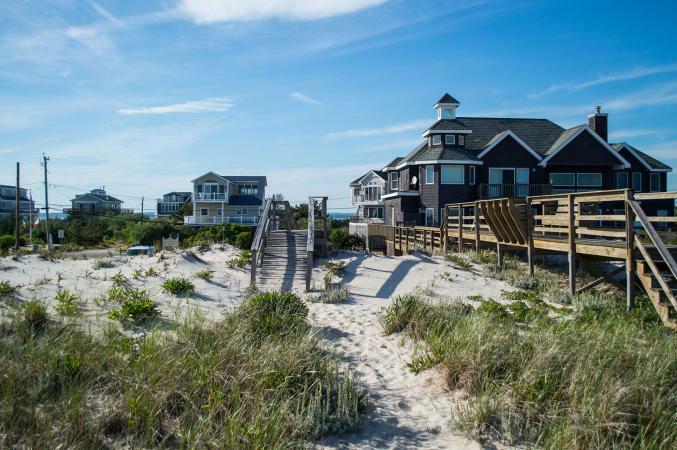 Areas like Westhampton, Southampton, Bridgehampton and Sagaponack are rented faster and earlier and may cost more since they are closer to New York City. North of the highway is further from the beach, so it's often cheaper. July and August are often the highest months for rental prices; consider September to May for lower prices and discounts. Consider a month rental versus a whole season if you are on a budget. Be open to a variety of areas, start your search early, and decide what factors are most important to you. Research each hamlet and decide what location best suits your needs. And, just because you can't afford the sprawling mansion on the beach doesn't mean you can't find a suitable rental a little inland, walking to the beautiful coastline each day. There's a vacation in Hamptons waiting for you.